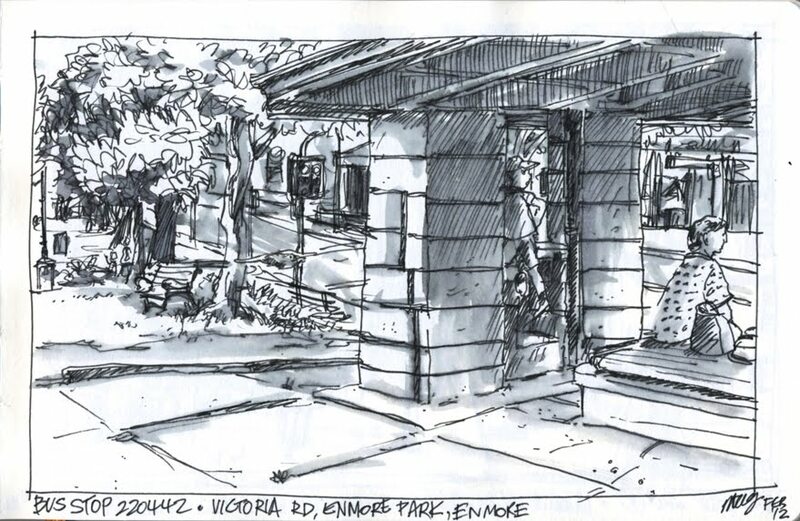 This first sketch was at Enmore park, the sandstone structure to the right is a bus stop shelter. I found the roof or ceiling to be really odd and it was hard to get the right perspective. 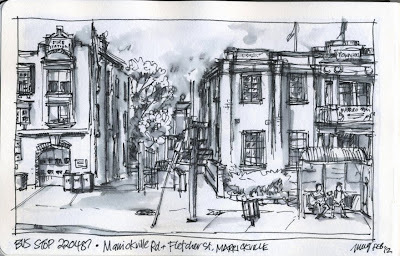 This is along Marrickville Rd at a bus stop opposite the Fire Station and Town Hall. 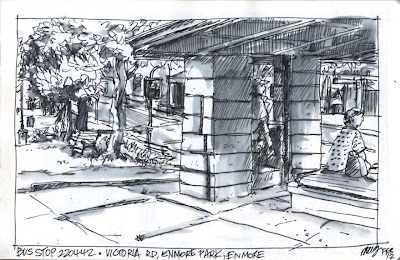 They've always been there but looking at my drawing, it looks more like something I might see in America?? 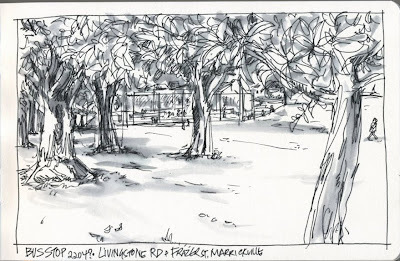 As I was drawing this a young high school student was waiting for her bus, and we started chatting. She did a bit of drawing herself and goes to the same high school I attended. Another lady stopped by to have a chat with us as well. 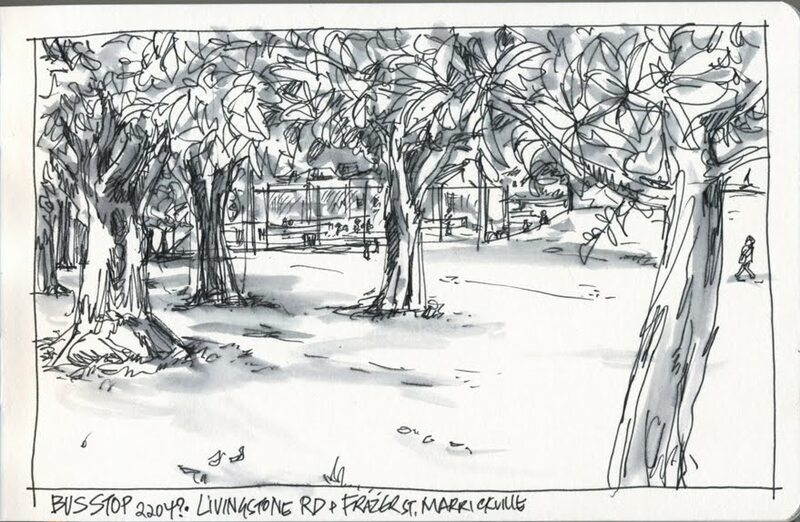 I completed this sketch on the same walk as the above drawing. My brain was a little fried from all the architectural detail from the town hall, so I found some trees. However, I think that will be next major challenge - to spend more time looking at and deciphering architecture and the best way to present it on paper. In the distance are some tennis courts.